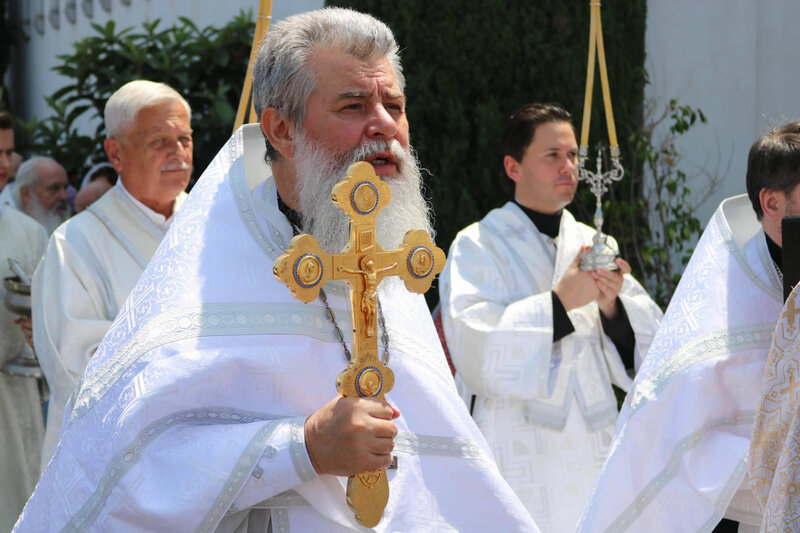 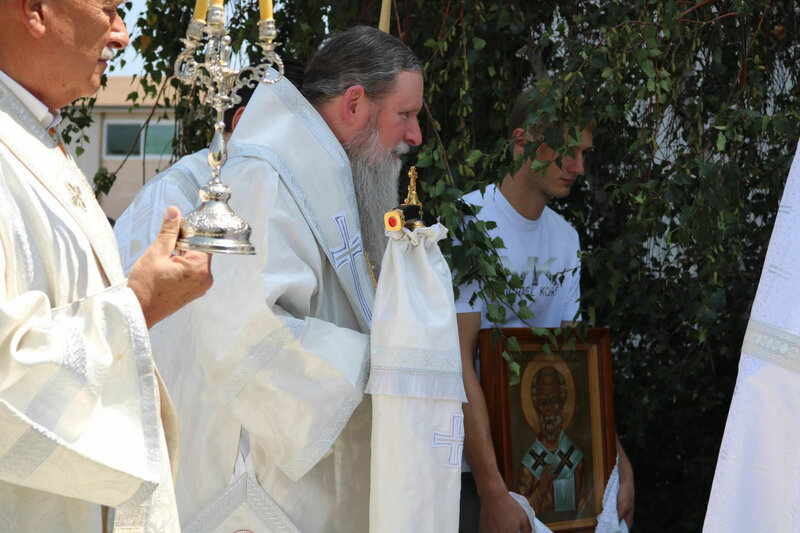 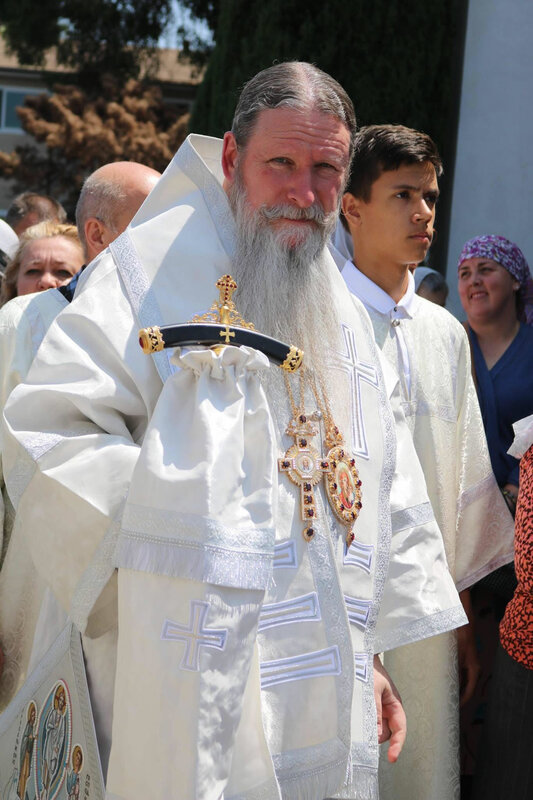 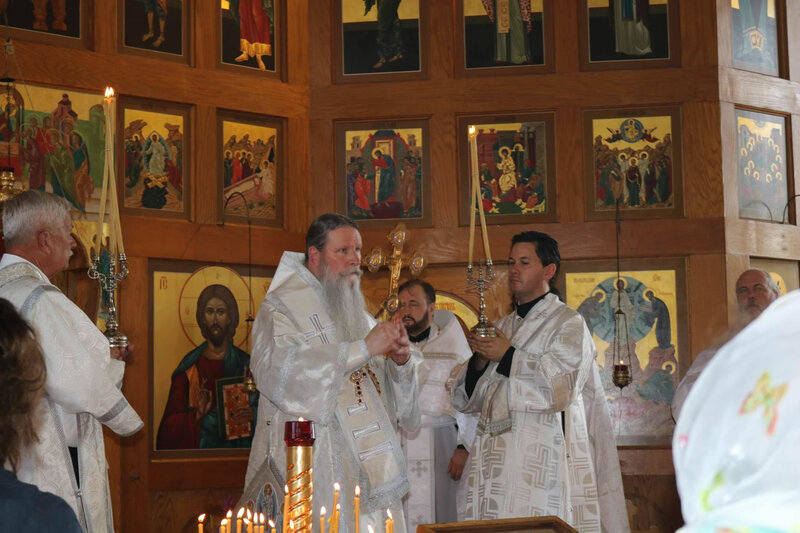 On Sunday, August 19, 2018, the feast of the Transfiguration of the Lord, His Eminence Archbishop Kyrill of San Francisco and Western America led celebrations at Holy Transfiguration Cathedral in San Francisco, CA. 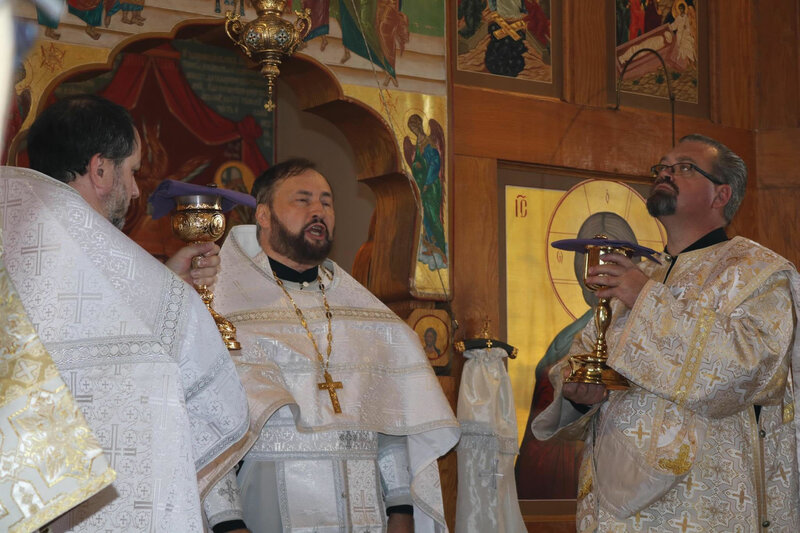 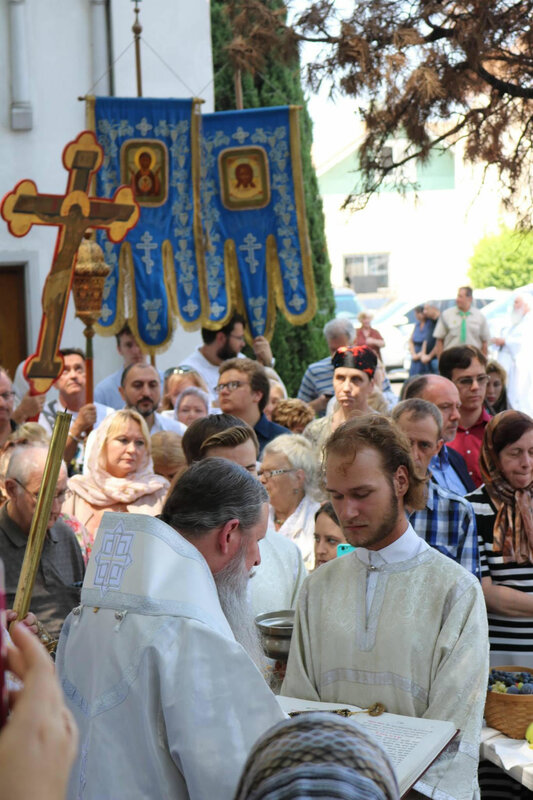 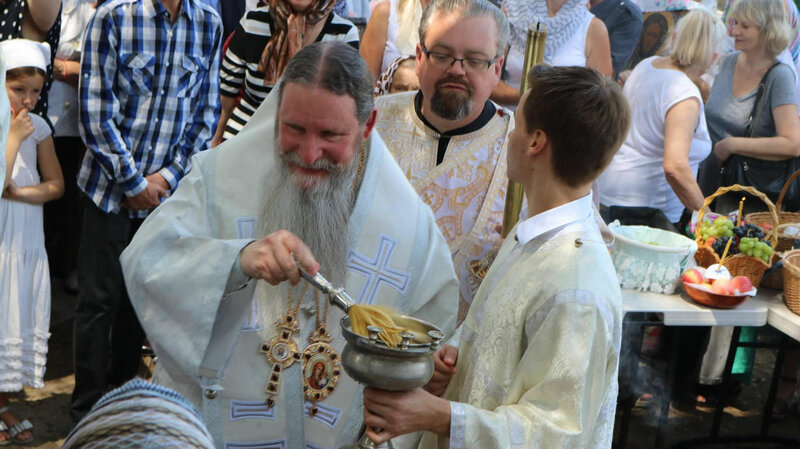 During a moleben and procession of the cross around the cathedral and blessing of the fruits, a memorial plaque to the centenary of the martyric death of the Russian Royal Passion-bearers was consecrated. 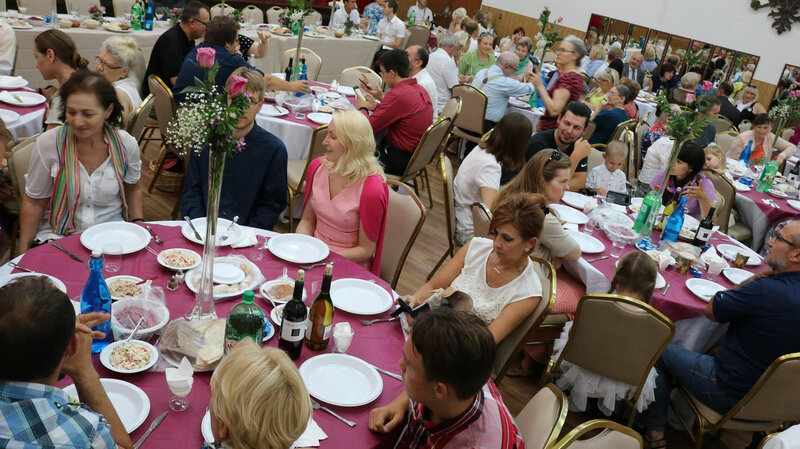 Afterwards, the sisterhood offered a trapeza luncheon.